Keeping your New Year's resolutions is always tough. So if you've resolved to make 2014 the year you become a homeowner, here are four strategies to help you stay on track to keep that resolution. Yeah, yeah, yeah - start out with the obvious. But it's amazing how many potential homebuyers go about this part without any real plan, aside from simply saving their money until they think they've got an amount that's about right. For starters, do you know how much of a down payment you'll need? Many potential buyers mistakenly assume they'll need more than they actually will. Twenty percent down is a nice target to shoot for, but it's rarely an actual requirement. Ten percent down is very doable for borrowers with good credit and stable incomes, and 5 percent down is being seen once again. If you want to go the FHA route, you can generally get a mortgage with a little as 3.5 percent down. A larger down payment will generally bring you more favorable mortgage terms, however - in other words, a lower rate and fees. That tends to be a bigger issue than simply having enough down to qualify for a loan in the first place. If you have good credit, you can probably get a mortgage with a small down payment, but it may be more expensive than you'd like. You also have to be able to document the source of the funds you plan to use for a down payment, so the lender knows you're not simply borrowing the money for a down payment from another source. If it's money you've been saving up over the years in a bank account, that's no problem. But if you're counting on a sudden infusion of cash - a gift from your parents, for example, or selling a car or other asset - the lender will want to have that documented to make sure it's not a loan. Having good credit not only helps you qualify for a mortgage, it also helps you get better terms than you'd be able to obtain with a lower credit score. There may not be a lot you can do to improve a poor credit score over the next 12 months, but there are plenty of missteps that can quickly damage your credit before you know it. The main thing, of course, is to make sure to pay your credit bills on time. This would be credit cards, car payments, student loans, etc. A single late payment here - 30 days past due - can put a significant crimp in what had been a good credit score. Bills for ongoing expenses, such as cable TV, utilities and even rent payments, typically don't show up on your credit report, but try to keep up with them as well - some of the newer credit scoring systems are beginning to take those into account as well. You also want to avoid taking on new lines of credit prior to applying for a mortgage - buying a new car, for example, or applying for a store credit card to take advantage of a customer discount. This reduces your total credit available to you, so there's less available for a mortgage. You also want to reduce your credit debt as much as possible. Lenders will look at your total monthly debt obligations and subtract that from what's available to pay a mortgage. Even if your monthly payments are manageable, excessive credit card debt in itself is a red flag to lenders, as it's a sign you may not be managing your money well. It's much better if you're able to show you've been able to pay off your entire credit card balance each month. Even if you're not thinking of buying a home until next summer or later, you want to start exploring your local housing market now. Start browsing the real estate listings, visit a few open houses, get a feeling for what prices are in your area and how prices vary from neighborhood to neighborhood. Don't just go by the real estate listings to get a sense of what prices are in your area. Try to find out what people are actually paying as well - it's often significantly less than the asking price. The real estate sections in many Sunday papers will often list the selling prices of homes recently sold in their area. You can also look the prices on recently sold properties through the web portal of your local assessor's office as well. It usually takes some time for these listings to appear, so the information will likely be a few months old, but the pricing will be accurate. Find out what school district boundaries are and how the various schools compare. See where township or community boundaries are and how that affects tax rates for various neighborhoods. Check crime maps from local police and newspapers to see where the safer neighborhoods are. The idea is that you want to develop a good feel for your local real estate market so that when you begin to actually shop for a home, you'll know which areas you're most interested in and be a fairly good judge for what a particular home should cost just by looking at it. That will put you in a much stronger position when it's time to actually negotiate a price and a purchase of the home you want. 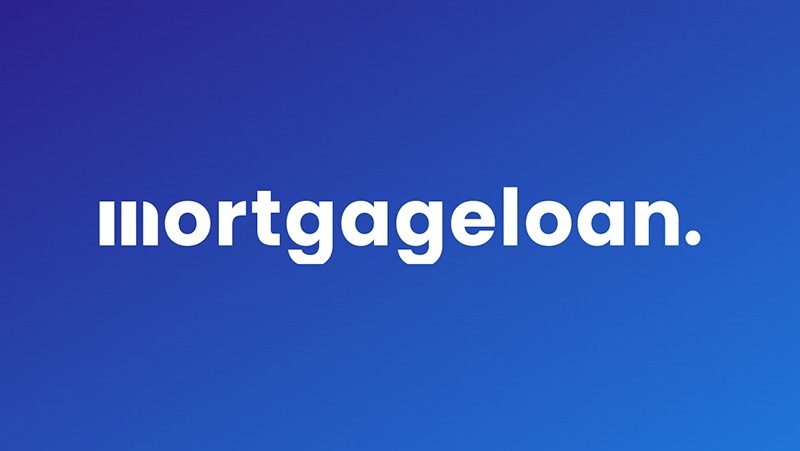 Spend some time researching the different types of mortgages that might be available to you. Many homebuyers aren't aware of just how many options they actually have. What many people call a standard mortgage is a home loan that is backed by Fannie Mae or Freddie Mac, the two government-created entities that guarantee the majority of U.S. residential mortgages. They're generally a sound choice unless you're buying a high-end property, in which case you have to go to a strictly private market jumbo loan. However, you may also wish to consider an FHA home loan, particularly if you're a first-time homebuyer. FHA loans have less stringent credit requirements than those for Fannie Mae and Freddie Mac, and are often a better choice for someone who can only afford a small down payment. However, the fees on these mortgages tend to be higher than on a conventional Fannie/Freddie loan. If you're an honorably discharged veteran or a current member of the military, a VA loan will likely be your first choice. VA loan offer very competitive rates and often require no down payment. They're also available to surviving spouses of veterans and to persons working for certain government agencies. A USDA loan is often an option for families with modest incomes. Though there are certain limits on income and home prices, USDA mortgages offer a way to buy a home with no money down for those with no military service affiliation. Finally, you should realize that a 30-year fixed-rate mortgage is not your only option, and may not even be your best one. For many homebuyers, an adjustable-rate mortgage (ARM) is a better option, particularly if they're only going to remain in that home for a limited time. Get to know the difference, so you'll know which is the better choice for you when the time comes. Buying a home and obtaining a mortgage can be major challenges if you've never done them before. If you're planning to become a homeowner in 2014, start using your time now to prepare yourself so that when the time comes, you're in a position to make the best decision and get the best deal available for yourself and your family.